Qatar Airways has doubled its frequencies to a number of destinations in Eastern Europe and the Nordics, following a significant increase in passenger demand to the popular destinations of Prague, Warsaw and Helsinki. Commencing mid-December, the airline will introduce an extra daily flight on each of the routes to meet the growing inbound and outbound travel demand by adding an Airbus A320 service, offering an additional 132 daily seats in both directions. Prague, Czech Republic, on its first anniversary of scheduled service to Helsinki, Finland, and more than a year since the daily service to Warsaw, Poland was upgraded to a wide-body Airbus A330 service. Akbar Al Baker, Qatar Airways chief executive, said: “Qatar Airways is delighted to facilitate this increase in passenger demand by doubling our daily frequencies to the popular destinations of Prague, Warsaw and Helsinki. 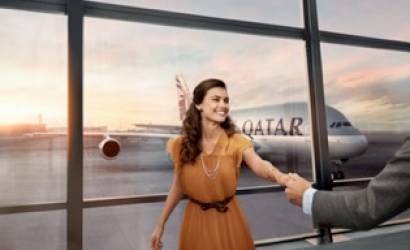 Qatar Airways’ increase in frequency to Helsinki, announced on the first anniversary of the route, will now mean that the airline serves the Nordic capital cities of Oslo, Copenhagen, Stockholm and Helsinki with a total of 98 flights per week, to and from HIA. Alongside Helsinki’s current Boeing 787 service, the cities of Stockholm, Copenhagen and Oslo are also served with a fleet of Dreamliner aircraft.